* After about ten minutes, the juice is literally cooled off by ginger and mint, as if you are chewing some kind of all natural gum. * Then it turns left and goes into the standard Amen. Patchouli, coffee, cinnamon, and chocolate. * The base is just as strong as you would imagine and tenacious just like all of the other A*Men flankers. Summary: In any special interest or hobby, there quickly develops an inherent snobbery which criticizes the mainstream and popular. As we all develop eccentric tastes, it is important to realize that just because something is popular doesn’t mean it is necessarily bad. 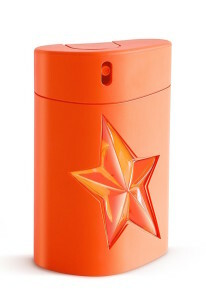 A*Men is a a classic perfume that has stood the test of time. Every flanker (or remix) adds a new top note and then it resolves to what is known, expected and loved. If you love A*men and want a fresh remix for 2015, give Ultra Zest a shot. Do not expect a light summer fragrance – this is the same brilliantly heavy and tenacious A*men, butwith a brief intro of juicy citrus. A*Men Ultra Zest is available from Macy’s and Nordstrom. Disclaimer: Sample provided by Nordstrom. Image courtesy of Nordstrom website.